Did you know that I don't subscribe to ANY beauty boxes? Not one. And there are so many to choose from. What always stops me is that although I like to be surprised...I don't want to waste money on something I might not like or already have. When it comes to nail polish, there is a very good chance I already have it.The main reason I love this box, is because YOU can choose which polishes you want in your box. 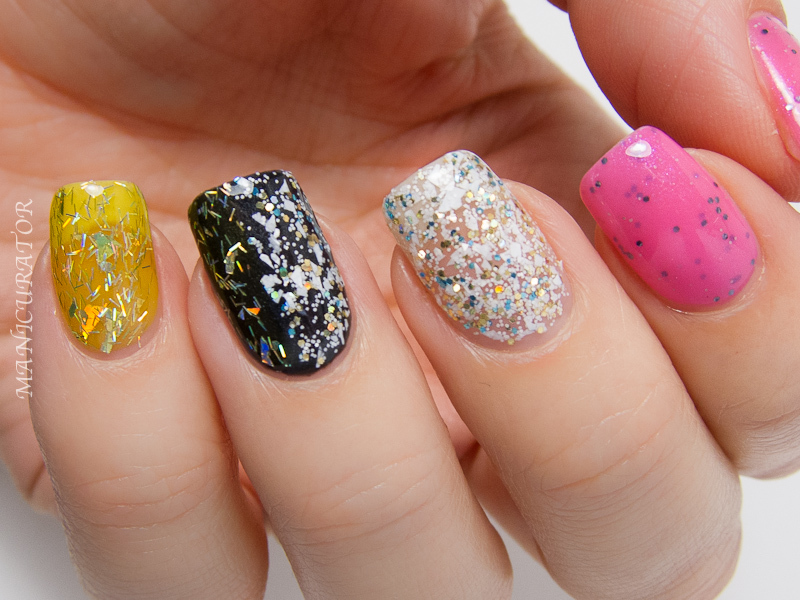 You have the ability to pick from brand new Essie and OPI collections, an Indie and create your own. Something for everyone! 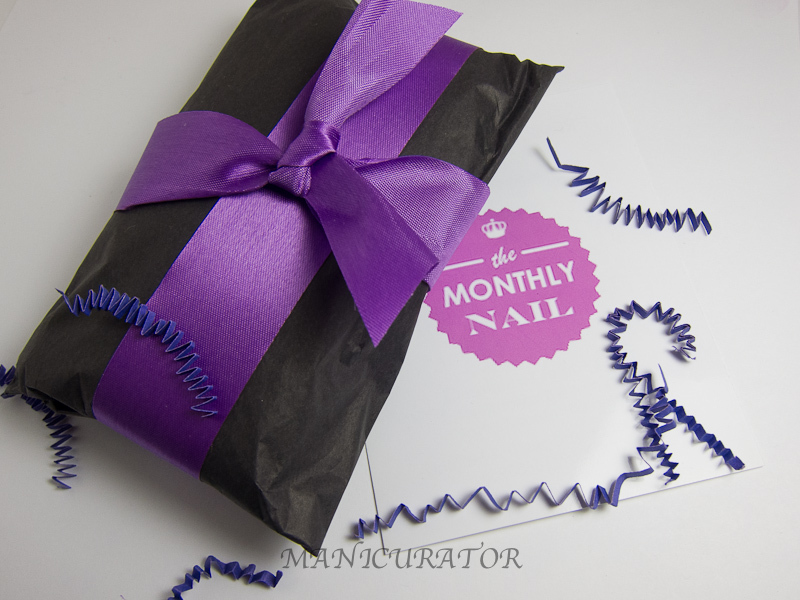 When The Monthly Nail contacted me to ask me to review their new sub box I thought, ok sure. I'm happy to recommend this one without hesitation! They are dedicated to customer satisfaction and have responded to any and every question I had in a timely manner! There are 3 different price point boxes you can sign up for which include free shipping, and you can skip or cancel at any time. Your box arrives like a sweetly wrapped gift. The other side of the card details what is in the box. I received four full sized bottles and two minis for the purpose of showing you guys. They aren't exactly what you would receive (they don't send minis!!). Read through the different levels of box and feel free to ask questions if you aren't sure how it works. I was eager to try the Indie brand they produce as I'd never heard of it or obviously tried before. The above photo shows two coats of each of the Eugene Malibu brand (OPI 4 in the Morning on ring finger). The Indie brand all had good formulas and no issues. In the above and below photos I added a third coat to Precious Pink and Bananarama. I was also curious to see how White Sandbox and Bananarama layered so I added 1 coat of each on either half of my OPI nail. It's all mismatched, I know, but I'm liking the final outcome and very happy with this box. What do you think? Interested in trying it out? If you do, would you please put "manicurator" in the notes section of your order? I do receive affiliate credits and would very much appreciate it! Cool! Looks like a nice box. This sounds amazing! I may have to sign up! This is actually kind of interesting. Maybe in the future I might check it out! 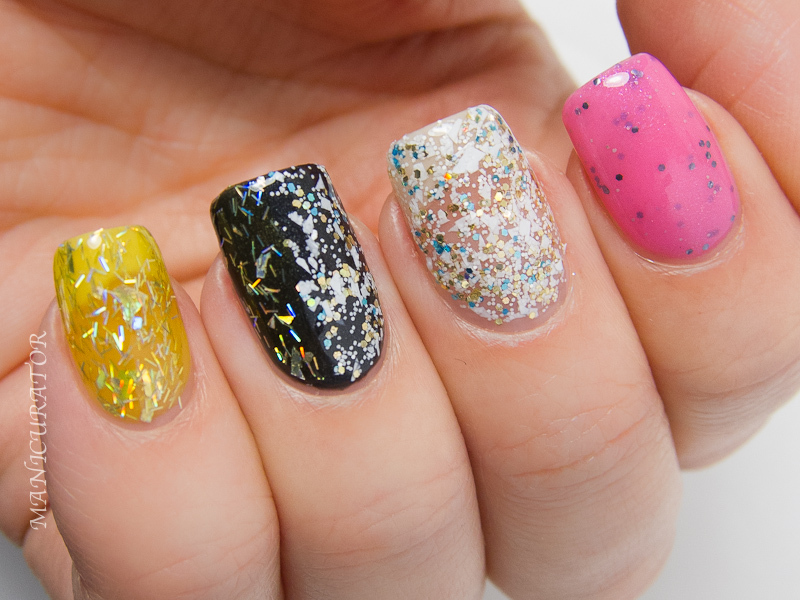 What a great content, all of the polishes are great! Wow, this is really neat! I'm definitely going to check it out! This seems like an awesome idea! I definitely love that you can choose your polishes!